Louisville, Kentucky is a great destination for spring vacations! Weekend getaways, girls trips, and Spring Break vacations in Kentucky offer plenty of things to do like annual festivals, concerts, races, parades and, of course, the Kentucky Derby. Bourbon City Cruisers is currently hiring for driver/guide positions for our Cruiser Crew. You’ll captain one of our three-wheeled tuk tuks to ensure a safe and fun ride for each group. Enjoy a bourbon tour before Hometown Rising, Bourbon & Beyond or Louder Than Life music festivals in Louisville, Kentucky! Urban adventures to the homes of Bulleit and Jefferson’s Reserve bourbons are available plus VIP tour packages for groups. Mint Julep Experiences will offer elevated bourbon experiences in 2019! Each incorporates private distillery experiences, premium bourbon tastings, and insider access. Hop around the Louisville’s best restaurants on a food tour inspired by locations seen on or popular with judges and former contestants of Top Chef. Three new Kentucky bourbon distilleries opening for tours to take in 2019 including Michter’s, Bulleit and J.W. Rutledge. Best of Kentucky tours are back in 2019! These tours visit Bourbon Country and Horse Country for a full-day experience to Sun Valley Farm and Buffalo Trace Distillery. Every year, there are more inventive ways to give the gift of bourbon! If you can’t find the rare bottle on your friend or family member’s wishlist, here are some ideas to get them in the holiday spirit. Visit three Kentucky craft breweries with Mint Julep on select Sundays including Against the Grain’s production facility, Great Flood’s taproom and Monnik’s brewery for behind-the-scenes access tours and guided tasting flights. Want to go to all the shooting locations for Top Chef: Kentucky? Here’s a list of Louisville and Lexington culinary and tourism destinations where the popular TV visited or mentioned and Kentucky food they enjoyed. Plan a tour with Mint Julep Experiences to see them all! Travel with Mint Julep to popular Kentucky Bourbon Trail distilleries in Bourbon Country. Our tours depart every Thursday, Friday and Saturday from downtown Louisville. Destinations include Maker’s Mark, Woodford Reserve, Buffalo Trace and Wild Turkey. See website for itineraries. A fleet of electric-powered Bourbon City Cruisers will hit the streets of Louisville in the spring of 2019 for new city tours connecting travelers with distillery, culinary and entertainment destinations from the owners of Mint Julep Experiences. In honor of Veterans Day, Mint Julep Experiences is offering a “bring a vet for free” buy one get one offer. For a limited time, buy a gift certificate for 2 bourbon tour tickets for the price of one Nov. 9-12, 2018. Tour must be taken on a weekday before March 31, 2019. Legendary race horse Justify’s new home at Ashford Stud Farm and the famous Woodford Reserve bourbon distillery are paired together on this Best of Kentucky experience with a Triple Crown twist! There are so many things to do in Louisville this holiday season! In November and December in Kentucky’s Derby City, you can celebrate Christmas and New Year’s Eve in style. Fill your Louisville weekend getaway with holiday events and a bourbon tour! After a day of family fun on Thanksgiving, extend your time together by planning a bourbon or beer tour on Black Friday in Louisville! Find something new to entertain your office staff or friends and family this holiday season! Plan your holiday parties with Mint Julep Experiences incorporating craft spirits and beer, Kentucky landmarks, thoroughbred horse farms, and all the best of the Bluegrass State. Fans of Triple Crown champion Justify can visit the home of the world famous race horse this November! Two of Mint Julep’s Breeders’ Cup week experiences will travel to Ashford Stud Farm, owned by Coolmore America, where the horse currently resides. Want to experience something different during your Kentucky Bourbon Trail® vacation? 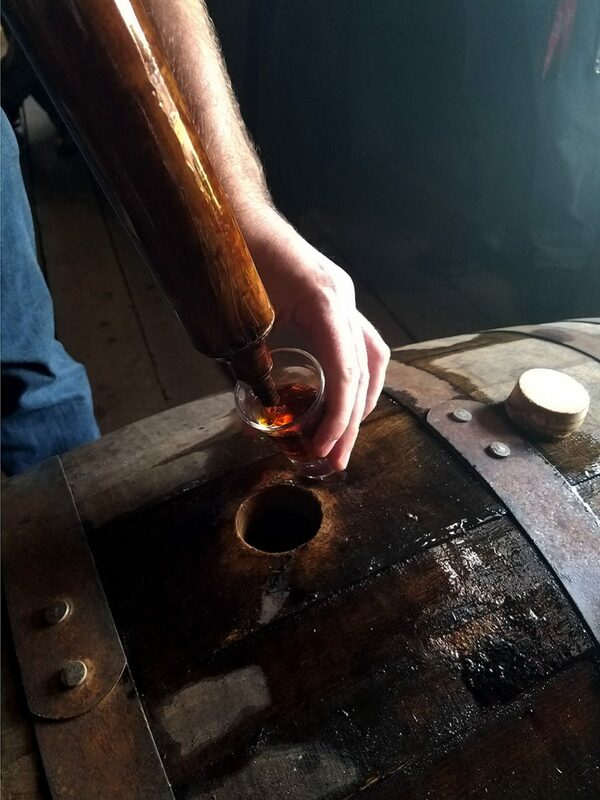 Add a trip to a cooperage, where coopers make bourbon barrels, to your itinerary! Mint Julep Experiences is the only Kentucky tourism company allowed to take guests to the Brown-Forman Cooperage. Need ideas for a Labor Day weekend getaway in Louisville? Mint Julep Experiences has several tour options available on Saturday and Sunday, Sept. 1 and Sept. 2. Book a ticket online and join a tour group for a Kentucky adventure! Smoke is the theme for the next Southern Supper Series event this October! Mint Julep Experiences has added the smokin hot Louisville food tour on Thursday, Oct. 25 visiting Harvest, Volare and Fountain on Fourth. Kentucky has been all about bourbon since established just over 226 years ago. Many bourbon distilleries have come and gone. Recently, we’ve uncovered three abandoned distilleries that we thought were worth sharing: Glenn Springs Distillery, James M Stone Distillery and The Old Tub Distillery. After winning American horse racing’s three top stakes races, Justify is the most famous race horse in the country. The 2018 Triple Crown winner took the Kentucky Derby, Preakness and Belmont. Find out what he’ll do next and where in Kentucky he’ll call home. Starting July 2018, Mint Julep Experiences will offer public bourbon tours every Sunday! Adding to our popular lineup of bourbon distillery experiences, the new tours will head south of Louisville to Maker’s Mark Distillery and Lux Row Distilling Co.
Spring of 2018 brings a pair of exciting grand openings to downtown Louisville when Old Forester and Rabbit Hole new bourbon distilleries will add even more options for those pursuing the perfect pour in Kentucky. Iconic whiskey brands Old Forester and Woodford Reserve have partnered with Mint Julep to offer a new upscale “Daily Double” elevated bourbon experience. You’ll visit Woodford Reserve Distillery and Old Forester Distilling Co. for exclusive private tours with premium tastings on this six-hour adventure. From navigating complicated Kentucky back roads to planning visits well in advance, working as a Kentucky Bourbon Trail tour guide is never boring. Tour leader Phil Kollin shares what it’s like to take thousands of Kentucky tourists to bourbon distilleries every year. No time to commit to a full day of bourbon distilleries during your Kentucky vacation? Mint Julep Experiences has added two “Urban Adventures” each Thursday from June through October for quick trips of Louisville distillery tours at Kentucky Artisan and Bulleit. The allure of Kentucky Horse Country draws thousands of horse racing fans to our fine state each year. At Mint Julep, we can take our custom tour groups to the horse farms of their choice to experience Horse Country firsthand. It’s one of the only ways you can see your favorite Kentucky Derby winner or Breeders’ Cup champion. More than 30 bourbon bars and restaurants make up the Urban Bourbon Trail – a collection of whiskey-loving stops in Louisville, Kentucky. Learn from Mint Julep’s blog about visiting each one, popular Louisville cocktails, and how to earn a t-shirt! Plus, a list of Louisville distilleries nearby. After winning the Triple Crown of horse racing in 2015, American Pharoah has been spending his time in Kentucky and abroad. We tell you how to visit him on a horse farm tour plus check in on American Pharaoh foals and mares. Find out what’s next for the Kentucky Derby winner. From modern bluegrass tracks to classic songs about whiskey, you’ll need this bourbon playlist with amazing tunes for any Kentucky Bourbon Trail voyage. Great for bachelor and bachelorette parties and boozy vacations. Moonshine University is Louisville’s most delicious academic institution. Located at the Distilled Spirits Epicenter complex, Moonshine University offer a certification programs for distilled spirits education. Just add bourbon or beer to your Memorial Day in Louisville! Mint Julep Tours has partnered with Wild Turkey, Buffalo Trace and Three Boys Farm Distillery for special a bourbon tour Sunday, May 27 and with Against the Grain, Great Flood and Monnik for a beer tour. Traveling to Kentucky for Breeders’ Cup 2018? Find an all-inclusive experience to horse farms or bourbon distilleries during your trip with Mint Julep Tours. This full-day public tour brings the best of both worlds with visits to a picturesque horse farm and historic bourbon distillery. Mint Julep Tours has partnered with Jeptha Creed, Town Branch and Buffalo Trace for a special public tour Sunday, February 18. The experience includes tours and tastings at all three distilleries along with lunch and a Bloody Mar bar. Three new distilleries making Kentucky bourbon and opening for tours to take in 2018 include Castle and Key, Lux Row in Bardstown and James E Pepper in Lexington. Experiences make great gifts! This Valentine’s Day, find ideas for gifts for the historian, foodie, adventurer and whiskey lovers in your life from Mint Julep Tours. Brew in the Lou from Mint Julep Tours visits craft breweries around Louisville for behind-the-scenes access and tasting flights of Kentucky’s best beers. There are few Kentucky horses more honored or with more records then Man o’ War despite never running in America’s most famous race, The Kentucky Derby. Seven unique and fun holiday gift ideas for the bourbon lover in your life including exclusive experiences, books and more from Mint Julep Tours. For the bourbon lover looking for the ultimate distillery experience, Heaven & Evan goes behind the scenes at Kentucky’s best distilleries. Explore Louisville’s rich culinary scene with Mint Julep Tours on foodie adventures to eclectic neighborhoods and top chef’s kitchens from around the city. Plan ahead to spend Kentucky Derby Week in Louisville in 2018! Mint Julep Tours is now booking full-day tours to horse farms and bourbon distilleries. Celebrate Louisville Craft Beer Week (Oct. 19 to 29, 2017) with two great bus tours visiting six unique local breweries including beer tasting flights. Special tour digs into the excavated ruins of Col. E.H. Taylor’s late 1800s O.F.C. Distillery, nicknamed Bourbon Pompeii, on the grounds of Buffalo Trace. Many people ask us what is in a mint julep, the history of the cocktial and why people drink mint juleps at the Kentucky Derby horse race each year. The excitement for a permanent home for Angel’s Envy has been building for years. The massive facility underwent a transformation before opening Feb. 2017. We’ve compiled a list of ten great options for bourbon enthusiasts that are guaranteed to please even the hardest to shop for. One of Kentucky’s most iconic distilleries, Maker’s Mark, features stunning sculptures from renown artist Dale Chihuly through December 2017. During some recent renovation at the Buffalo Trace Distillery in Frankfort, KY a discovery of an old bourbon distillery dating back to the 1800s. Mint Julep Tours catches up with master distiller and Hall of Fame inductee Jimmy Russell of Wild Turkey, bourbon’s best ambassador. Today, new highly touted dining spots are drawing crowds to Louisville, Midway, Lexington and beyond including restaurants from Ouita Michel and Edward Lee. Mint Julep Tours has the inside scoop and can can do all the planning for your private barrel selection at a handful of Kentucky bourbon distilleries. Master distillers argue that the barrel has the biggest impact on bourbon’s signature flavor. Tours of cooperages, where barrels are made, are available. Vendome headquarters and manufacturing facility is a sprawling urban set up that is surprisingly easy to miss in Louisville’s Butchertown neighborhood. George Garvin Brown is the man who is credited with revolutionizing the way Americans bought and consumed bourbon in the 1870s. Triple Crown winning race horse American Pharoah calls Ashford Stud Farm in Kentucky home. Tours to visit him are available through Mint Julep Tours. Mint Julep Tours guides pick the 10 best songs for your Bourbon Trail road trip taking a bit from every beloved Kentucky genre. While you’re unlikely find rare bourbon Pappy Van Winkle sitting on the shelf at Buffalo Trace, there are plenty of ways to grab a special bottle. 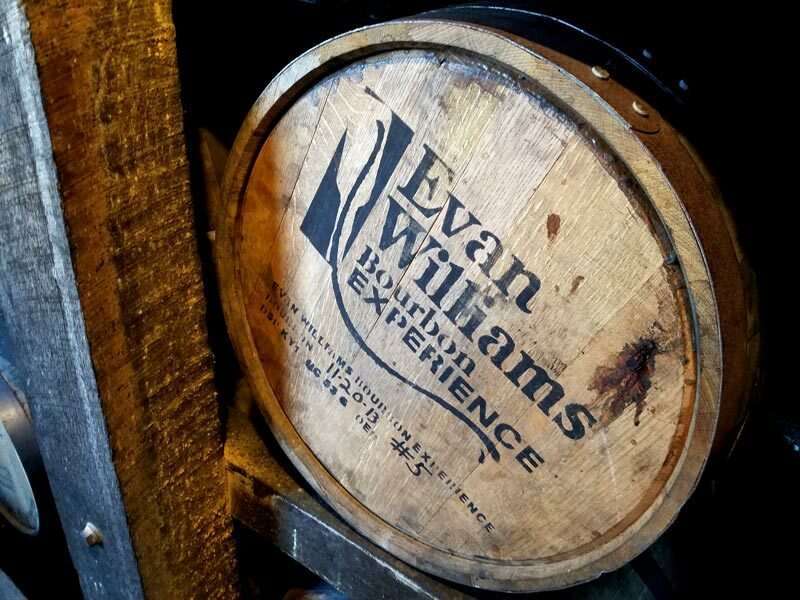 Bourbon lovers can now sign up for Heaven & Evan, a unique exclusive tour and tasting experience organized by Mint Julep Tours. Mint Julep Tours is excited to announce it will be moving its offices and vehicle garage to a new larger property located at 1631 Mellwood Ave.